Look, Welcome to Marwen could go one of two ways. Based on a true story – take a look at Slash Film for the full story – it could either be a redemptive tale of the power of friendship and love in the face of horrific trauma (which is how I saw it, finding it all rather original and touching) or it could be a really strange take on the aftermath of a life-endangering event. Frankly, I’m inclined to go with the former. It’s an audacious concept in lots of ways, and unique in so many ways which is a rare thing in Hollywood these days and must be supported but the trailer rings true, carrying with it, for me at least, a great deal of emotional resonance. 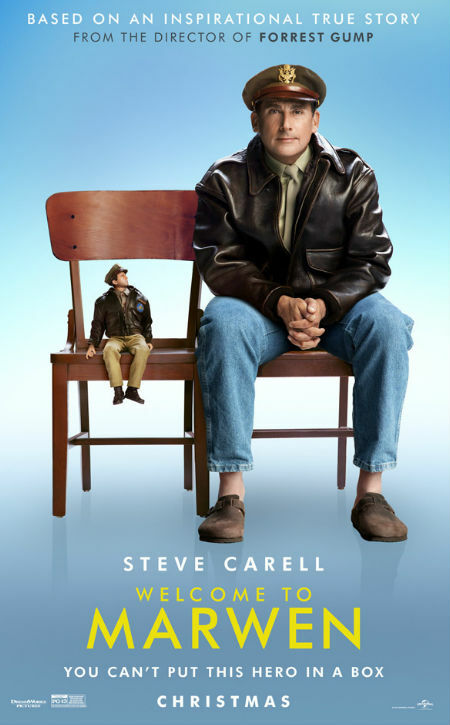 Welcome to Marwen opens 21 December USA, 1 January 2019 UK and 10 January 2019 Australia.